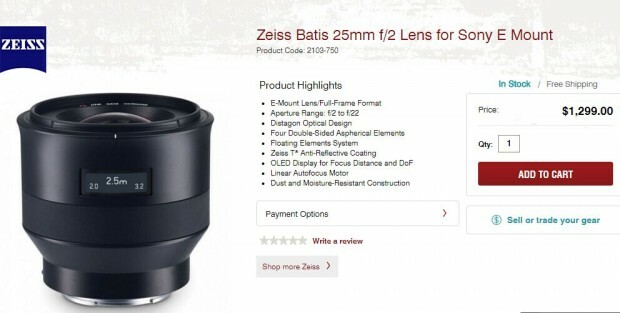 The new announced Zeiss Batis 25mm f/2 Lens is now in stock and shipping at Focuscamera for only $1,299! This is a “must have” lens for your Sony A7 series cameras. While Amazon sells it for $1,699!